The exterior suggests a hint of Adobe style with semi-walled open courtyards. 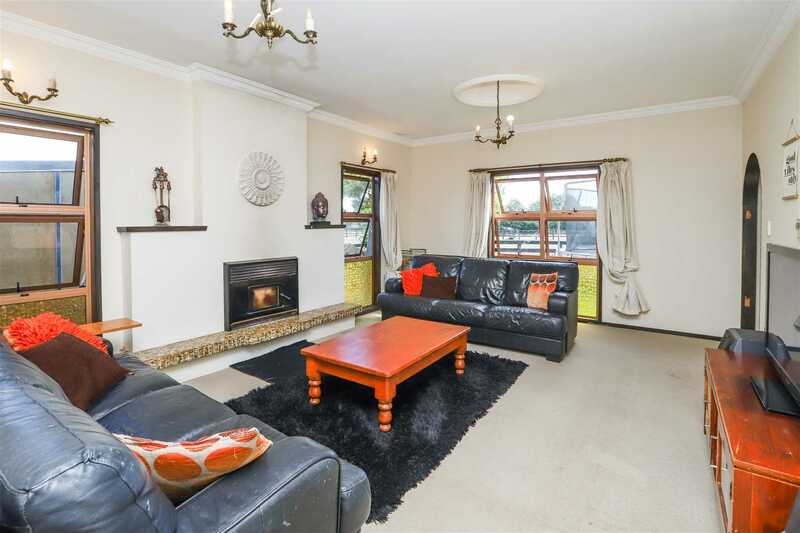 The interior is roomy with 4 bedrooms, 2 living areas, study plus attached open plan bedsit. Stay warm in winter by the closed in wood fire or alternatively the convenience of the heatpump, which also allows cooling in summer. Sited on an easy care section of 966 m2 allowing ample space for outdoor activities and gardens. Zoned for Te Kowhai Primary/Intermediate School (decile 10), a 2 minute drive down the road, and a new daycare centre close by. this property was also previously rented at $645 per week. Call me today on 027 404 7595 to secure your own personal viewing time.